User Preferences allows users to edit default Vedatrak settings. 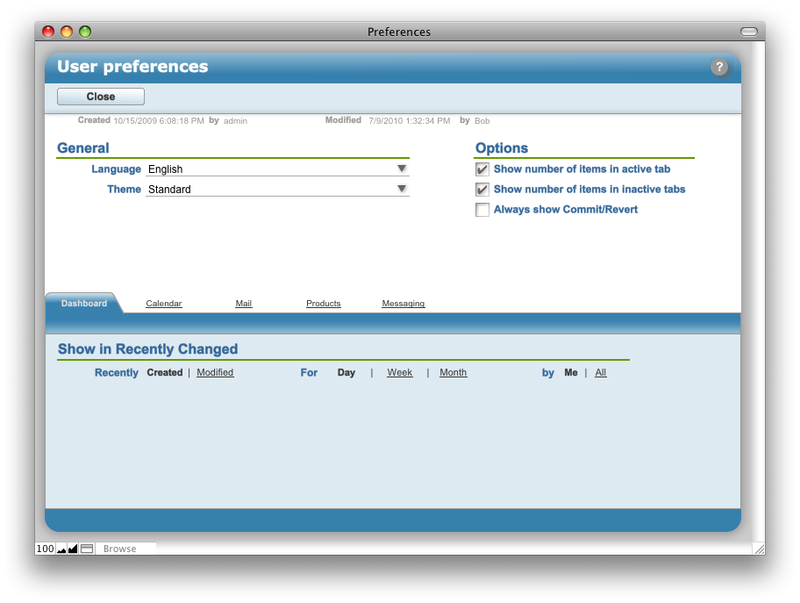 To change user preferences, click the Preferences button in User Info. Select your preferred language from the Language drop down list. Select your preferred theme from the Theme drop down list. Check next to Show number of items in active tab to display the number of items in the active tab. Check next to Show number of items in inactive tabs to display the number of items in the associated items tabs. Check the Always show Commit/Revert check box to display Commit and Revert buttons outside of IWP mode. Some Vedatrak modules have unique user preferences and settings. Click the tab with the module name to change the module preferences.